Wow! 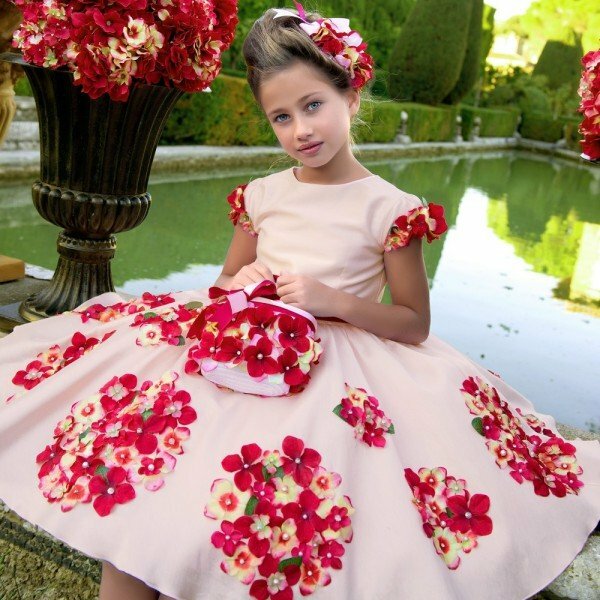 Now this is the perfect dress for a special occasion this Spring Summer season! 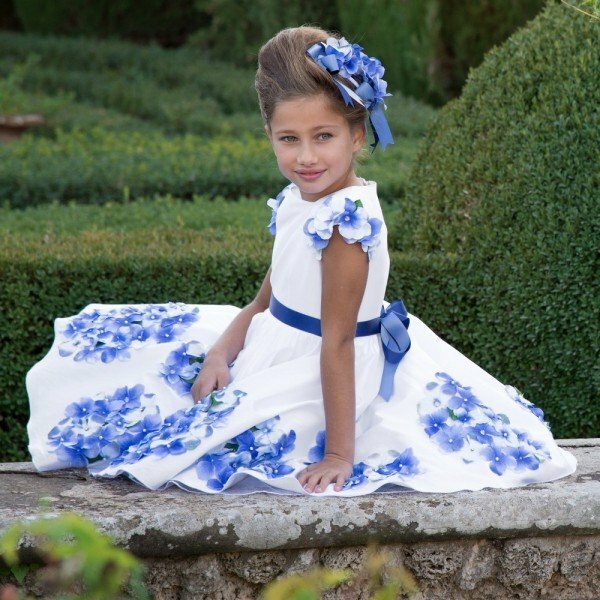 Love this girls beautiful white and blue dress by Lesy Luxury Flower designed in Italy. 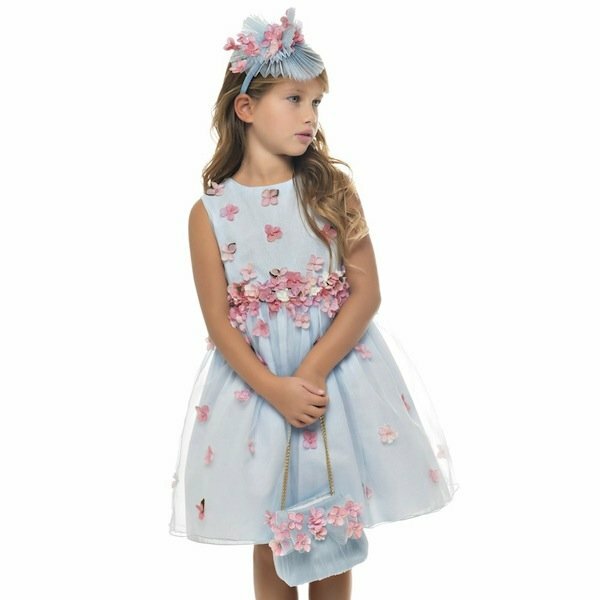 Decorated with hydrangea flowers in different tones of blue, made with a fitted bodice, it has capped sleeves and a full gathered skirt with layers of stiff tulle lining under. This luxurious dress features a double satin and grosgrain ribbon belt that can be tied at the front or back of this very special dress. Complete the look with a matching blue hair piece and purse. Don't forget a pretty pair of ballet flats. Perfect for any Special Occasion.